Sometimes, traders know news will be announced on a specific date. Yet, the news still results in a large price move. This is because it is simply impossible to know what some news will be. This is true whether the news is related to earnings or government reports. Brokerage firms and hedge funds assign analysts to forecasting news events. Some hedge funds go to what we would consider to be extraordinary efforts to gain an edge in information. It wasn’t that long ago when hedge funds and analysts could talk to companies and obtain insights that individual investors didn’t have access to. That changed in 2000 when the Securities and Exchange Commission issued Regulation Fair Disclosure, more commonly known Reg FD. This rule levels the playing field. Reg FD requires all publicly traded companies to disclose information to all investors at the same time. It fixed the problem of selective disclosure, where large institutional investors received market moving information before small individual investors. Without selective disclosure, analysts had to become more sophisticated in obtaining information. Many will talk to suppliers and retailers. For example, an analyst might call 10 cell phone stores a day all around the country to assess sales of the iPhone. Other analysts look for more subtle clues. They might pay data gatherers to count the number of trucks at a regional Wal-Mart distribution center to assess how sales trends at the stores are. These efforts are expensive and can be prone to errors. The latest trend is to use imagery from satellites as low cost satellites have become available. 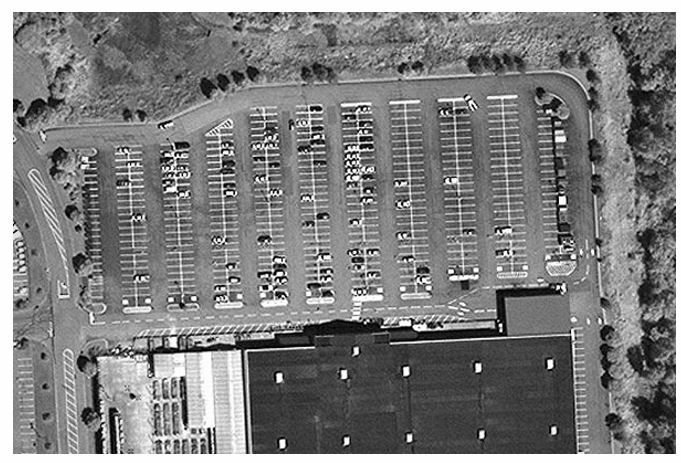 The images from space can be processed through artificial intelligence based systems to develop insights into trends in manufacturing or retail sales. Despite the efforts analysts go to, there is no shortage of surprises. Earnings estimates are wrong, either too high or too low, more than 90% of the time. Estimates for government data reports such as unemployment or inflation are also almost always wrong. Since we know the estimates are likely to be wrong, it is possible to develop a trading strategy based on that assumption. We know when the reports will be announced, we will know the consensus estimates will be wrong and we know there is a high probability of volatility. This sequence of events is true for widely followed government reports like the monthly unemployment report. On the day the report is released, the first Friday of every month, the stock market tends to be more volatile. Some analysts note the trading on that day is typically two to three times more volatile than average. Trends in globalization seem to have expanded the issue. For now, markets in the US are not reacting to unemployment news from France, for example, but there are some global events that tend to increase volatility. Just like with data from the US, the dates of the events are known in advance. Not surprisingly, given its increasing role in the global economy, China is a source of volatility. Reports on Chinese manufacturing activity released near the end of every month have become market moving at times. This trend also extends to specific sectors. China allows gambling on Macau. Officially known as the Macao Special Administrative Region of the People’s Republic of China, it is an autonomous territory and it is among the most densely populated region in the world. Macau has an interesting history. It was administered by the Portuguese Empire from the mid-16th century until late 1999, when it was the last remaining European colony in Asia. Sovereignty over Macau was transferred back to China that year and will operate with a high degree of autonomy until at least 2049, fifty years after the transfer. Under the policy of “one country, two systems”, Macau has become a resort city in Southern China, known for its casinos and luxury hotels. Its gaming revenue has been the world’s largest since 2006 and the economy is now heavily dependent on gaming and tourism. Every month, the Macau government releases gaming statistics. This is a report on gross revenue at its casinos. The reported data itself is volatile and it can cause wide swings in the price of casino stocks. Several US-listed companies are affected by the report every month. Among the US-listed stocks is Melco Resorts & Entertainment Limited Nasdaq: MLCO). The company operates three casinos in Macau and another one in the Philippines. Melco is currently developing another casino in Macau. The government report on gaming revenue comes out on the first of the month. As the chart below shows, the stock price tends to make a larger than average move on that day. Often the move is the start of a trend that lasts for several weeks. For Melco, volatility is expected on the first month. Later in August, the company is expected to announce earnings in the first week of August. This event is also likely to create volatility. The combination of the two events presents a trading opportunity for traders using a straddle. On Friday, MLCO closed at $21.20. Options expiring on August 18 are available. The straddle can be opened using options with an exercise price of $21. The August 18 $21 call is trading at $1.10. The August 18 $21 put closed at $0.87. The total cost to open the trade is $1.97, before commissions which should be relatively small at a deep discount broker. The total premiums add up to almost 10% of the stock price. The question is whether or not a move of that size is likely within the next month. Given the two market moving news events, it is. The stock’s response to the gambling revenue report is likely to be more volatile than average since earnings are due within days of that report. This same set of reports a year ago resulted in two significant price moves. The stock sold off on the revenue report and then rallied on the earnings report. It was possible to take a profit on the put after the first report and then to profit from the call after the second report. Traders could also use a spread strategy to lower the cost of the trade. A spread could increase the probability of a small profit but it could also significantly lower the risk of the trade.